Some notes that you will all need to know before you start into your Real Estate career, taking the test, and moving forward. How many commission members are there? The books, through the 3rd Edition, will tell you that there are 4 members, to which is wrong, as there have no been appointed 5 members, from 4 districts, which consist of the geographical area that they are from, to which they will represent the entire state of Idaho. Each commissioner is appointed by the governor of Idaho and must be an active designated broker or associate broker with at least 5 years of active license experience in Idaho. 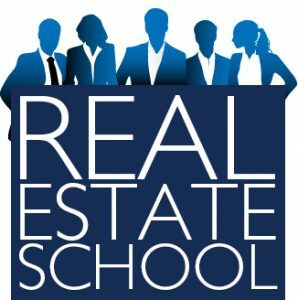 As you get your real estate license, you will be in a group of professionals who’s activities require a Real Estate license, which include offering to list, buy, sell or negotiate on behalf of others; negotiate the purchase, sale, option or exchange of real estate; negotiate the purchase, sale, option or exchange of real estate; take part in procuring of prospects or closing of any transaction; negotiate any real estate interest, option, or business opportunity for others. 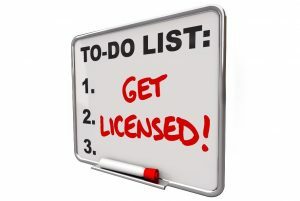 There are four types of licenses in the state of Idaho. A salesperson license, associate broker license, limited broker license or a designated broker license. The salesperson or associate broker must affiliate with a designated broker and cannot work without the supervision of said designated broker. 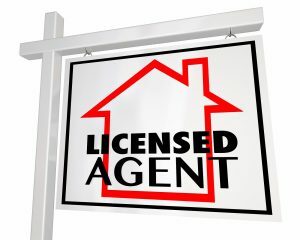 The designated broker is a licensed real estate broker who is designated by the brokerage company to supervise the activities of any licensees associated with the brokerage. A limited broker is an individual broker who is qualified to do business in Idaho buy who may not have associate brokers or salespersons license with that particular broker. The salesperson license is the particular one that I am going for here as I go forward with testing and such things. You must be an individual (love that they include this in the book and for the criteria – as they want to make sure you aren’t a dinosaur, Orc, or plant, I guess), be 18 years of age, have a High School diploma or the same equivalency, not had an licensing revoked in Idaho any other jurisdiction, Not have convicted any felony (though here in Idaho, after 5 years, there can be a re assessment of this), completed all education required, pass the exams, get the fingerprints, sign and file an irrevocable consent to service and provide the commission a full and current mailing address, provide the address where you will be working with a specified brokerage, and provide proof of meeting mandatory errors and omissions insurance requirements. Your license period has to do with your birth date, as to where you year mark will ultimately land, to when you need to start taking the required course work and electives. The initial license period is a period of one year plus the months up to and including your next birth date. One of the better ways they explain this, is go to the last day of your next birth month and add one year. Each year, as part of your continuing education, you will need to take the steps in doing 12 more credit hours of additional commission approved elective courses and 2 separate courses put forth by the commission. Here is the intimidating part for me. As with all jobs and professions, for whatever reason, they believe that you need to be licensed by taking a slew of tests and taking more courses. This is negating real world experience or the fact that so many of us learn and work differently. Rant over. As you go forward with the testing part of this, know that there are 80 questions on the National test and there are 40 questions on the State test. You are required to get a 70% to pass this exam. You are able to retake these tests, as needed, but still have to pay each and every time you take them. After you receive your fingerprinting, you will receive them, as a “good to go” within 7 to 21 days. You will then have them for a period of 6 months. As far as Errors and Omission Insurance goes (E&O insurance), this is a policy that you need to keep year in and year out. Should you leave the industry, you may want to look into securing what is called “tail coverage” to protect you against claims made after you have left the industry for an event that occurred prior to cancellation of your policy. Falsification of the fact of not updating your E&O insurance will result in disciplinary action, including but not limited to, suspension or revocation of your license. As you go forward with getting your real estate license, please take all of these things I have talked about into consideration. These are things that will help you, excite you, scare you and may frustrate you. Know that they are a necessary evil into what will be a great career choice ahead.